A non-profit organization dedicated to bringing the transformative power of interactive art to public spaces. Candace Locklear, aka “Evil Pippi”, is currently helping with the strategy and execution of the media relations activities surrounding We Are From Dust. She has been attending Burning Man off and on since 1996 when she camped with Motel 666. She served as one of the first senior staff members of Burning Man in 1997 and helped grow the global media team on and off-playa for five years. She met and instantly befriended Yomi Ayeni when he came to Burning Man to cover the event for the BBC in 1998 and convinced him to join the media team. Candace has remained deeply connected to the staff and various organizations within the Burning Man community and has keenly analyzed and influenced the various stories told about Burning Man over the years. She co-founded a boutique consumer tech PR agency in San Francisco called Mighty in 2011 that has served brands such as Facebook, Samsung, Twitter, Evernote and SoundCloud. Candace has been known to perform as both a Santa and a Klown. Elizabeth “BettieJune” Scarborough has had the unique opportunity to nurture and develop artists from across the globe, creating opportunities and showcasing their talents both on playa and off. BettieJune wrote her graduate thesis on the art of Burning Man redefining both the role of the artist in community and the role post postmodern museums play in shaping the role of identity and creativity. After finalizing her studies, BettieJune heard the siren call of Black Rock City, and joined the Burning Man Art Department. 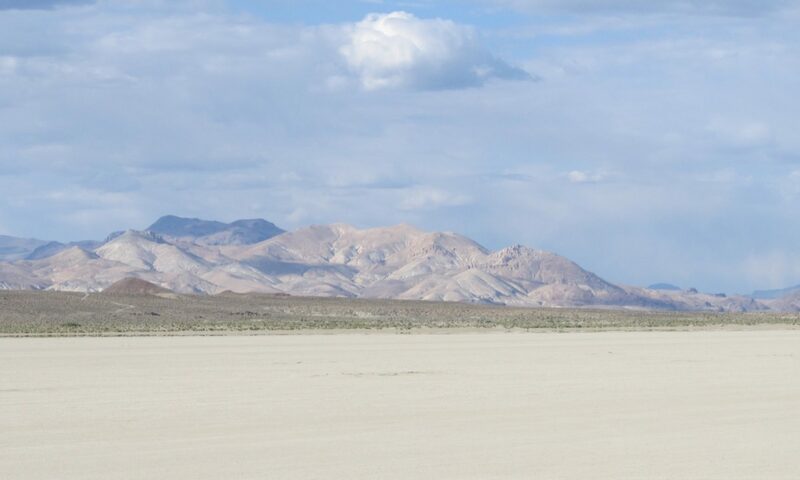 During her over 12 year tenure with Burning Man, BettieJune developed the department’s processes, and grew the art grant program from $250k to approximately $1.5MM in cash in 2015. She led and inspired over fourteen teams at Burning Man, and curated and supervised over 300 artists per year. Currently she’s leading the effort promoting and developing the professional career of one of Burning Man’s best known artists, Laura Kimpton. Blending her knowledge of art history, artist development, event production with her masters in business administration, BettieJune has innate knowledge on how to best identify and support creative concepts and strategies. She is thrilled to be selected to be part of We Are From Dust team, and look forward to helping them meet their goals of showcasing Burning Man art at the Venice Biennale. Míša is an Art Production Manager based in Prague, working around the world, with over a decade of experience from theatre, film, art and music industry. She is a “dust” addict ever since she stepped out of the car in Black Rock Desert. She has been actively involved in Burning Man community and culture since 2010. After years of volunteering in different roles, she has become Burning Man Project Fellow and is conducting research within the European Community to support the non-profit mission of Burning Man. Míša is also working with the teams from Education, the Regional Network and People and Operations to discuss and outline plans for the future and documenting Burning Man community innovation in Europe. She received her Bc. in Media Studies and Journalism and Theatre History and Theory at Masaryk University in Brno, then she studied Theatre production at Theatre faculty at Academy of Performing Arts in Prague, where she received BcA, MgA and continues in PhD study programme with aim on Arts and Ecology and published a book The Sustainable Theatre. She has worked as assistant to chief coordinator of Prague Quadrennial 2007, worked and consulted for Czech Lion, the Annual Movie Awards in Czech Republic, cooperated with number of Czech independent theatre groups, partake on production of documentary movies Passage to Passage(2008) and My Neighbour Killed Heidrich (2009) and productions of various exhibitions as Winton’s Trains. Will Chase has been facilitating the arts and artists through his company Will Chase Arts since 2003, providing art curation and event management services for galleries, events and festivals. He was Minister of Propaganda for Burning Man, where he was the editor-in-chief for the Jackrabbit Speaks newsletter and the Burning Man Journal, and content manager for Burning Man’s web properties. He also oversaw the ePlaya BBS and Burning Man’s social media presence. Will first attended Burning Man in 2001, and volunteered as the Operations Manager for the ARTery (Black Rock City’s art HQ) and was on the Burning Man Art Council from 2003-2008. He was Web Team Project Manager and Webmaster from 2004 until he transitioned to the Communications Department in 2009. Since retiring from Burning Man, he has worked as Director of Content and Community for Maker Faire, and is now the Head of Communications for Obscura Digital, a cutting-edge creative studio creating world-class illumination art, based in San Francisco. Yomi is an award winning Transmedia storyteller, film producer, and digital strategist. He is a published author, artist, record producer, and event organizer with a penchant for Steampunk – the retro-futurist genre. In 1998, the BBC News sent Yomi to the USA to direct a film on Burning Man, which introduced him to the creative culture that underpins the event. He returned to the UK, set up the Euroburners website, Playadust discussion list, Nowhere Festival (Spain), London Decompression, and the London Burning Man Film Festival. Yomi was an active member of Burning Man’s Media Team for past 18 years, he has an annual radio show on BMIR while on the Playa, and has produced two international theme camps. In 2009, Breathe, Yomi’s first interactive feature film launched at the London International Film Festival, and recently he produced three large scale installations for the Royal Observatory in London. As a strategist, Yomi works across multiple platforms, and has pioneered new ways of engaging the audience with content.